Club news and results for September 2018. Hope the week so going ok so far, it’s almost Friday anyway! 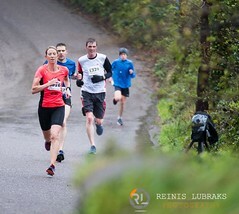 Well done to all the Eagles in Charleville last weekend with some brilliant running on the day. 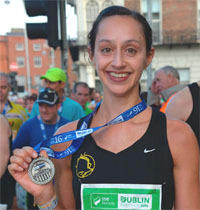 I know many were also using the run as a build up to the Dublin Marathon, in 30 days, so hope it went to plan. Thanks to Ruairi for the results on this below. 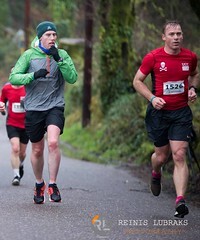 This weekend brings the ever popular Cork to Cobh 15 miler. The race starts at 9 am on the lower Glanmire road outside St Patrick’s Church and if anyone has not done it before and would like to, you can sign up for this one on the morning the race at the Union Chandlery from 7.30am , for €20. There are always plenty of Eagles running this race so plenty of company to be found. 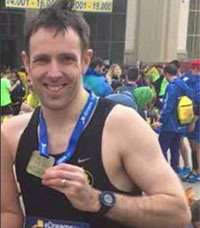 It is also only 10 days until Mark Smith heads state side to run the Chicago Marathon on October 7th; so in case Mark is already on route this time next week we wish him the very best of luck, have a safe trip and a great marathon. Wishing you all the best for the week ahead; whether you are building up into those last Dublin training weeks, or thinking of trying your hand at cross country this year, or perhaps you are working hard on recovery or returning from injury, just keep on going, stay positive stay strong. New on the web store this week are Ron Hill running jackets. Ladies men’s in yellow and also men’s in black. Also new is a track top for €28. I will have samples at next week’s track session. https://viga.co.uk/collections/eagle-ac Don’t forget our discount code “EAGLE10” for 10% off. If you have any results to share or feel we are missing any, please do let us know. 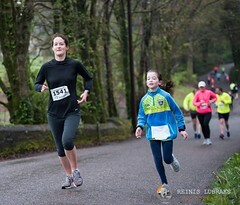 The big race last weekend was the popular Charleville half marathon. We had 25 Eagles take part on what eventually turned out to be a lovely morning for running, despite earlier weather warnings. If anyone has photos from any races that i have missed , please send them to me and I will add them to the album, my email is included at the beginning of the email. 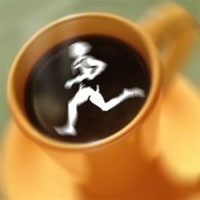 Coffee Run: We might aim to have a coffee run on the weekend of the final run before Dublin the 20th or the 21st of October. If anyone has a preference of a 10/11 mile route with a nice coffee shop for afterwards then please do get in touch. Thank you very much to Elaine for last weeks email, much appreciated and we have missed your emails! Hope everyone is keeping well and that storm Ali is not messing up the running schedule too much. 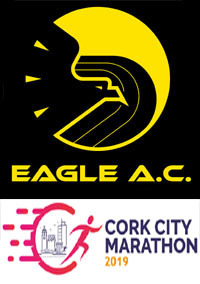 Well done to all running over the last week some super results below, Eagles spread over Cork, Kilkenny and Berlin. We have been promised a race report from Berlin, so we will be looking forward to that hopefully in the not too distant future! Autumn is setting in and the races are getting longer with Charleville next up this weekend; best of luck to all taking part in Charleville half marathon and also to anyone heading Dublin direction for the half marathon there. Cork to Cobh, which is always a very popular club race/ long run before Dublin, is also on the horizon for the following weekend. Indeed whatever you are tackling this weekend week, good luck and stay out of the way of the storms. New on the web store this week are Ron Hill running jackets. Ladie’s men’s in yellow and also men’s in black. Also new is a track top for €28. I will have samples at next week’s track session, 25/09. 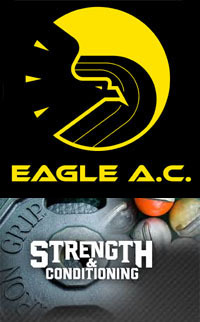 Don’t forget our discount code “EAGLE10” for 10% off. 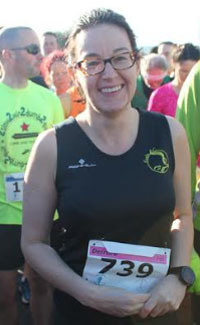 Well done to Sandra who was 5th female home at this 5k last Thursday. 3 Eagle members took part in the mini marathon on Sunday. Well done to Olga, Dolores and Gillian! Thanks to John Sheehan for sending on the results below of the Kilkenny Marathon and Congratulations to John on his top 20 finish. 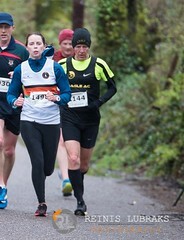 At least 2 Eagle members ran in Kilkenny Medieval marathon races last weekend (there may be more but not listed by club). Ed paced the half-marathon at 2 hour mark we hear there were plenty of compliments about Ed’s pacing on the day, Good Job Ed! 12 Eagles travelled to Berlin last weekend for what turned out to be a world record setting marathon. I hear it was a great trip and some members got to meet the man of the moment, Eliud Kipchoge. No word yet on whether he was convinced to visit us for the Cheetah run or the Carrigaline 5 miler in 2019. 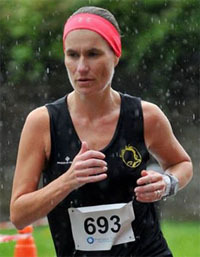 Stepping in for Karen this week who, like many others, is getting the game face on for Berlin Marathon on Sunday.. The very best of luck to all our members travelling at the weekend; at the risk of leaving someone out (and apologies for this), the gang heading over include Karen Bevan, Derek Costello, Mairead Lonergan, Ian Roche, Mark Smith, Derek O Keeffe, Lisa Boland, Ronan Boland, Vivian Foley and Sean O Keeffe. Have a great run, everyone. Special Mention to Richard Piotrowski this week: As reported on last week’s mail Richard, one of our outstanding masters athletes, gave a terrific performance in the Cross Country world Championship event in Malaga, finishing in 9th place and leading his National team to a silver medal. 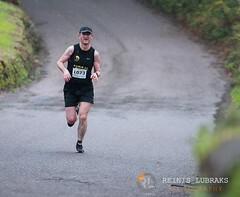 Unfortunately, luck was not Richard’s side as he tackled the 10km event this week. A runner went down ahead of Richard, which led to a bit of pushing from behind and Richard unfortunately took a tumble. Down but not out, Richard still managed to pick up again and finish the race in 8th place in an excellent time of 44.25. The incident did, however, end Richard’s involvement in the championships and rule him out of the 5km track race. Congratulations to Richard on his achievements prior to this and we wish him a speedy recovery! Well done to Sandra, who was first woman home at Ballincollig Parkrun last Saturday, getting herself a new Parkrun pb also! Congratulations to Mike Carroll and Aoife on the birth of their baby girl Caragh. WIshing the new parents all the very best! New on the webstore are Ron Hill jackets. Ladies & mens in both black & yellow. Also new is a track top which is listed as a “Sparta jacket” for €28. There is a new batch of Ladies Asics 2018 Singlets now available. Ruairi and Eddie will have them at CIT on track night in case anyone needs one before Dublin etc. They are much lighter than the old Asics ones. Have all sizes (S/M/L). €10. Plenty of Eagles out for tonight’s St Luke’s’ 5K, with a very close finish from the first 3 guys on the list below. Congratulations to Tom Fox taking 1st M50 spot and Neil Kingston taking 3rd M40 spot. There is an error in Frances’ result, where she is listed as a male, so I hope you checked this out just in case! Well done to all running. Three Eagle members were spotted in this results of this 8k race which was held last Friday night. 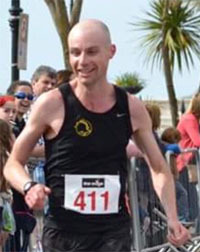 Ruairi Egan was the first Eagle home, finishing in 9th place overall. Dermot and Denis also finished well up the field. 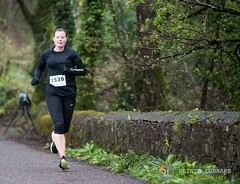 Well done to Olga, who was first woman home at Ballincollig Parkrun last Saturday. 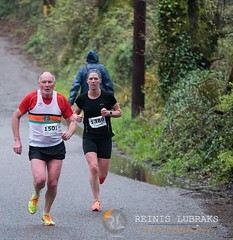 No results seem to be available for this low key run last weekend but spotted amongst the participants were – Pat O’Connor, Denis Carroll Colin Foley. No clubs are listed this year for the DIngle events but thanks to Mike McGrath for the feedback. Mike took 2nd M55 in the half, well done to Mike and apologies to anyone else not spotted in the 2 large fields. 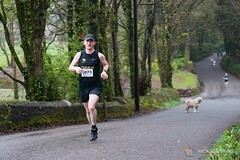 Mike said that this was a race with fab scenery on a beautiful sunny day! 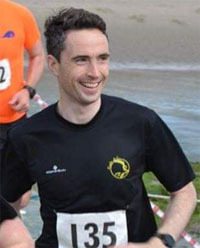 Ed Fitz was running as a 2hr pacer on the day finishing in a net time of 01:59:25, nice work Ed. All singlets in stock now and available at the weekly track sessions. 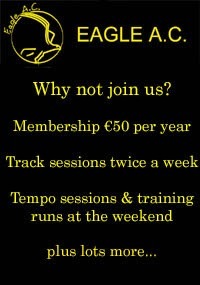 If you or a friend are running in races around Ireland or abroad please do let us know so we can include the results in the weekly email. If anyone has anything that they would like to add to the Weekly club email or we have missed anything please do let me know, by 6pm on Thursday evening if possible.